The Importance of Proper Shipping Documents & Paperwork - Inter Global Logistics Inc.
Are you including the correct paperwork with your international shipments? 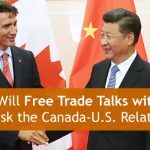 For international trade, we live in uncertain times. 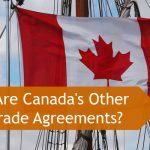 Businesses across Canada are racked with concerns over big changes that may be on the horizon for NAFTA, the WTO, and the EEC in the upcoming months and years. The general perception is that an already difficult global market could become even more complicated to navigate. Concerns like these have already affected every aspect of trade, leaving companies wondering what they can do to reduce uncertainty at the border. By doing so, your company will greatly reduce the chances of costly delays at the border, while also expediting the shipping process. Remember, the paperwork for your shipment will be checked at every Customs clearing point from its point of origin straight through to its destination. Shipping documents that haven’t been properly filled out are one of the most common reasons for shipping delays. Even simple mistakes like smudged ink or illegible penmanship can have huge consequences for your business. If any of this information is missing, you could be looking at a massive delay for delivery. There’s also the financial impact of improperly filled out shipping documents and paperwork. We all know that time is money. If your shipment is delayed at the border, it may take longer for you to be paid for delivery of the shipment. You also have to consider the possibility of paying far more than necessary at the border due to improper paperwork resulting in larger duties and taxes than would otherwise be applicable. Then there’s the possibility that your company may need to pay penalties or fees for any major mistakes made because of your inaccurate documentation. Ouch! 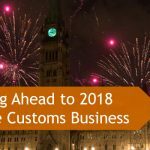 This is one of the major reasons why so many Canadian companies are turning to Customs Brokers like Inter Global Logistics for handling the details of shipping their good and making sure that every “i” is dotted and every “t” is crossed. Border delays and unnecessary fees, along with the possibility of fines for improperly filled out paperwork, can cost companies far more than many can afford. By trusting your exports to Inter Global Logistics, you’ll remove any uncertainty from the equation, eliminating the risks that come with handling Customs transactions yourself. There’s another danger of having improperly filled out paperwork—disputes. This can especially impact small or midsized businesses that can rarely afford an extended legal battle. 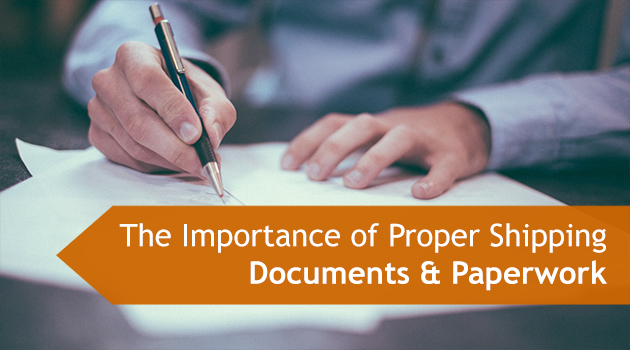 If your paperwork is completely in order at the start of the process, any mistakes made after the shipment leaves your property are not your responsibility. As your Customs Broker, we at Inter Global Logistics would represent you in the case of a dispute, using our knowledge and expertise to resolve the issue and minimize any impact on your business. Despite advances in information technology having revolutionized much of how shipments are now handled at Customs, the reality is that it’s still individual people who handle the details manually. If they find something out of the ordinary, confusing, misleading, or simply wrong on your paperwork, your shipment’s journey could end before it even begins. By entrusting Inter Global Logistics Inc. to handle the shipment of your valuable goods, you can eliminate any uncertainties in the process. With us in your corner, you can be sure that your shipment will reach its destination as quickly and as inexpensively as possible. For quotes on rates or for advice about any upcoming shipments you have in the queue, use our contact form or call Sheldon or Ken at 1-647-428-6537 or toll free at 1-866-777-7556.